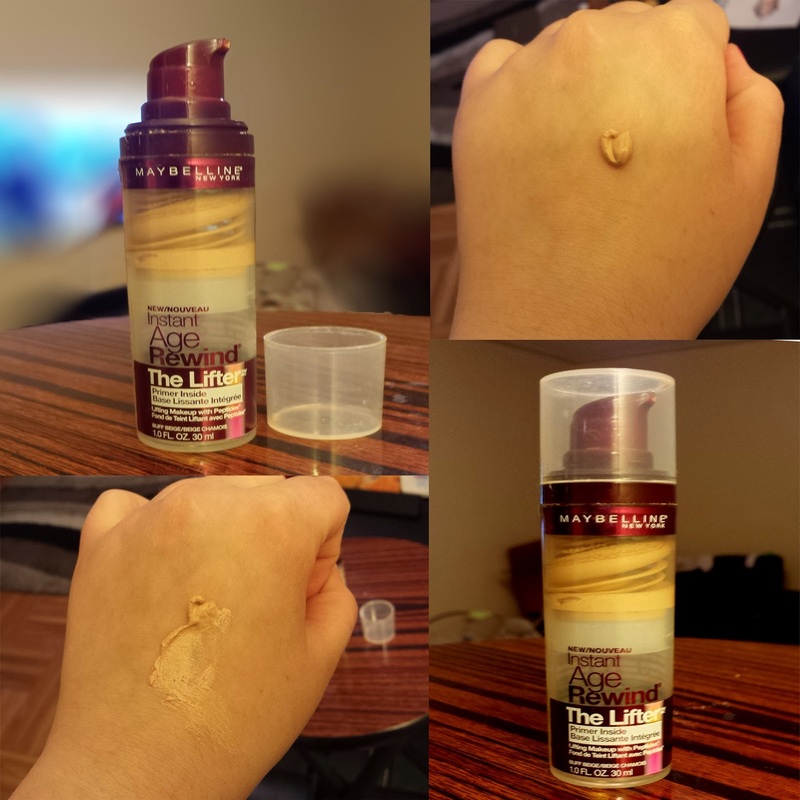 I was looking for a foundation with an infused primer and came across this Maybelline one. This is the Instant Age Rewind, The Lifter, they say its for mature skin, but I still use it and its suppose to lift the skin and make you look younger. My first reaction is that I love that it comes with a pump so thats a big plus because when foundations come without a pump, its such a waste of product. Accidentally spilling it and pouring to much product out can be a pain in this a$$!. You see the primer infused together with the foundation swirling upwards. I have used a large amount of this product since having purchased it in January. When it comes out of the pump, its very light and airy so blending it into your skin isn’t a problem. In the picture you can see the amount that comes out with one pump but it goes a long way. One factor that I didn’t like is, that it is has a thickness when applied on the face. My face felt quite heavy for the first couple of minutes but the I go used to the product being not as airy as it is when it comes out of the pump. The foundation last throughout the whole day. It does smudge if a powder is not applied and can seem cakey if to much is applied. I would say this gives it a medium coverage, and doesn’t conceal all my red spots. Over all I give this product a 8 out of 10!